No one has publicly confirmed or denied Nelson’s claims made 10 days ago. If Nelson’s claims have merit, elections officials say the federal government must take immediate action to inform all 67 Florida counties. As support mounted over the weekend for Sen. Bill Nelson's recent claims that Russian operatives have "penetrated" some county voter registration databases in Florida ahead of the 2018 elections, Florida elections officials said they are seeking more information to combat any possibility of ongoing hacking efforts on county voting systems. A U.S. government official familiar with the matter confirmed to McClatchy on Saturday an NBC news report that Nelson was right when he said Russian hackers had "penetrated" some of Florida's county voting systems. The official spoke on the condition of anonymity because of the sensitivity of the matter. Leaders of the Senate Intelligence Committee told Nelson recently that operatives working for Russia penetrated some county voter registration databases in Florida. That appears to represent new information about fallout from a Russian hacking operation nearly two years ago and not evidence of a fresh attack, the government official familiar with the matter said. And on Saturday, Nelson defended himself against claims by Gov. Rick Scott, his likely opponent in a hotly contested U.S. Senate election, that he was careless with classified information. "I did exactly what the leadership of the Senate Intelligence Committee — both the Republican chairman and the vice-Chairman — asked Marco Rubio and I to give that warning. And to give it to the supervisors, which we did," Nelson said at a campaign stop in Tampa. "I think now that Marco Rubio and I have brought it to everybody's attention, despite the attempts at politicization of it by Gov. Scott, I think now that it's out there on the open on what is the potential threat, I think the supervisors will make sure that their systems are secure." However, the U.S. government official who spoke to McClatchy said Nelson overstated the threat in saying on Aug. 7 that, after penetrating county voter registration databases, Russian cyber operatives "now have free rein to move about." Nelson since has voiced concerns that the Russians could tamper with voter registration databases, suppress votes and create chaos at the polls on Election Day. Details of the extent of any election security threat from the Russians' penetration of Florida counties are classified, and the limited information that has leaked presents a confusing picture. Florida officials faced with the prospect of ongoing hacking attempts say they've seen no evidence of voter information being altered as early primary voting continues in counties around the state. 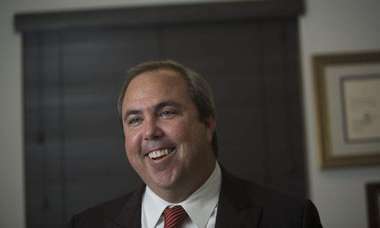 Paul Lux, the supervisor of elections for Okaloosa County and the president of the state Association of Supervisors of Elections, said county-level election officials have not been informed of concrete steps they should take to inoculate themselves from the specific threat of ongoing Russian hacking attempts that Nelson has alluded to. Florida officials who do have access to classified information regarding the state's voting systems typically receive briefings from the Department of Homeland Security and the FBI. 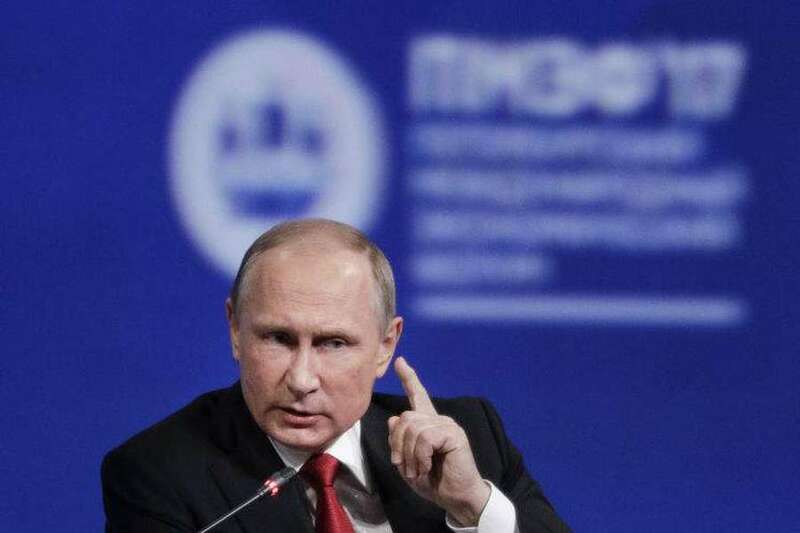 DHS spokesperson Sarah Sendek said Saturday that the agency is aware of Nelson's recent statements but the agency has "not seen any new compromises by Russian actors of election infrastructure." 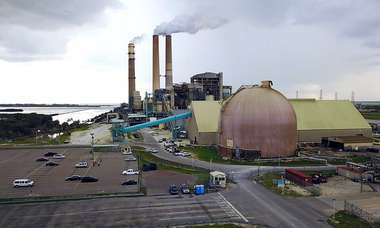 "If the [federal] government knows something and it's not even telling the government agency tasked with sharing it, there's a bigger problem at hand here," Lux said. "If one of the systems that's been compromised is mine I would damn sure want to know about it." Lux and Florida Secretary of State Ken Detzner sent a letter to Nelson on Thursday asking him to "urgently" disclose any information so they can take action. Lux and Detzner have not received a response from Nelson as of Saturday. "Although the Department [of State] has already reached out to the U.S. Department of Homeland Security, the Federal Bureau of Investigation the U.S. 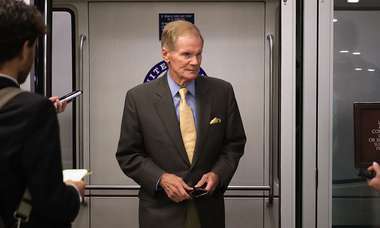 Select Committee on Intelligence, the Multi-State Information Sharing and Analysis Center and the Florida Department of Law Enforcement and they have not confirmed the claims made by Senator Nelson that 'Russians are in Florida's election records,' we continue to aggressively pursue answers," DOS communications director Sarah Revell said in a statement. "We have reached out directly to Senator Bill Nelson and are awaiting his response. The Department has no evidence that Florida's voting systems or election records have been compromised at the state or local level." No one has publicly confirmed or denied Nelson's claims made 10 days ago. If Nelson's claims have merit, Lux said, the federal government must take immediate action to inform all 67 Florida counties, offer security clearances to county level election officials so they can access the information or declassify enough material that makes it possible for local officials to pursue contingency plans if necessary. "We are doing everything the DHS has recommended we do to protect things," Lux said. "If DHS needs better information, then someone needs to start providing better info. What we're talking about are voter registration systems, we have backups upon backups upon backups, we have contingency plans in place. If I don't know that I have a problem I can't be on alert or fix the problem." Miami-Dade Mayor Carlos Gimenez issued a statement saying he had ordered Miami-Dade police to contact the FBI and confirm that Miami-Dade's voting system has not been compromised by foreign foes. "We have not received any notification that our system has been hacked," said Gimenez, who has control over the county's Elections Department. "The best information will come from the FBI and Homeland Security." "While I firmly believe states should remain in the lead on conducting elections, the federal government should stand ready to assist as needed in confronting actual or potential attacks from determined foreign adversaries," Rubio said in a statement. "As I have done for months, I encourage all of our state and county elections officials to continue to work directly with federal agencies on these matters, including the Federal Bureau of Investigations and the Department of Homeland Security. And I will do everything possible to ensure these agencies respond promptly and adequately to any requests for briefings, notifications of ongoing threats, and assistance in mitigating against potential attacks." Last year, the Intercept news website obtained a classified report describing Russia's hack of a Florida-based voting systems vendor matching the description of VR Systems. Through the hack, the Russians obtained a list of state and county election administrators, an NSA document cited by The Intercept said, enabling them to attempt so-called spear phishing attacks in which the operatives sent fake emails to election officials in an attempt to lure them into opening attachments carrying malicious computer coding. The coding was designed to offer the Russians a doorway to databases containing personal information on millions of voters. Nelson, a Democrat, is locked in a tough reelection race with Scott, whose appointees oversee the state's election system. Scott has criticized Nelson over his recent disclosure, and both the governor and Detzner have denied receiving any information from U.S. intelligence agencies to corroborate the senator's assertion. As of Saturday, neither Scott nor Detzner had received a classified briefing on the matter from the U.S. Department of Homeland Security. Scott's office said Florida Department of State staffers have the appropriate security clearances to receive classified briefings from DHS regarding potential threats to election security, and Lux said county election supervisors from Escambia and Clay Counties also have clearances due to ongoing partnerships with the federal government. Lux said he remains vigilant about the threat of election hacking, though he hasn't seen any evidence that voters in his Florida Pandhandle county are having their records messed with by an outside actor. "If you were trying to cause chaos and disrupt the election, this is a pretty late in the game way to do it," Lux said. "I think we would be seeing evidence if they were tampering with anything." This story was written by Alex Daugherty and Greg Gordon of McClatchy. Miami Herald staff writer Douglas Hanks and Tampa Bay Times staff writer Kirby Wilson contributed to this report.